A place for learning about Japanese language and culture. Manga has a long and colourful history in Japan, and on the back of Naruto and Death Note is becoming wildly popular in the US. In this post we look at why it's good for you, and how you can incorporate it into to your study of Japanese. Language learning can be broken down into two parts, input and output. Input is just another way of saying the things that you read and listen to, output is what you say and what you write. Often the focus for new learners is listening and speaking, but the truth is you will never break through the language plateaus you encounter without making an effort to read and write. Learning to read Japanese may seem like insurmountable task, but it many ways it is even easier than listening. Let me explain. When you listen to Japanese, what do you hear? If you don't have a very strong vocabulary you will hear some familiar sounds, but mostly you will hear long stretches of sound where it is impossible to know where one word ends and another begins. Listen to the live Manga reading by Rikimaru Toho above and you'll soon see what I mean. You can find Rikumaru every Saturday night by the South entrance to Shimokitazawa station in Tokyo reading manga in character. Rikimaru speaks very quickly, he often changes pitch, tone and speed with out warning, and there are very few pauses. Because you have this recording on YouTube you can pause, rewind and listen again, but there will still be parts that confuse you because the sounds just seem to run into each other. If you saw him perform in person I doubt he would stop to repeat himself, even if you asked him in your most polite Japanese. Now consider what happens if you like the Manga that he reads. You decide to take it home and attempt to read it yourself. Now you have a lot more time to read each word carefully and guess elements of the story from the pictures. As long as you aren't overwhelmed by the kanji on the page, you can make out a few words that you recognise and the rest you underline so they can be looked up in a dictionary a little later. To learn any language you need massive amounts of authentic input, and it helps if it is something that you find interesting. This is especially important if you are not living in a place where you are constantly exposed to the language you want to speak. If the only Japanese you read is in the classes that you go to, the rate you learn new words is going to be pretty low. I make a point in my lessons on eduFire of using words that most people in the class already know. This is so we can focus on practice, without getting hung up on explanations of new vocabulary. When you read you are going to be exposed to may more words than you would if you were just listening to a conversation. You are also going to be exposed to Japanese that is authentic and without error. Manga is almost 100% dialogue, and depending what genre of manga you read, an accurate picture of modern Japanese spoken today. Of course if read samurai period Manga, you're going to get an authentic picture of Japanese used 400 years ago, not that you would want to use it! Better still, find something that you are interested in reading, get a few recommendations from a friend, find something that already has a translation to save you the dictionary work. A recent article in the Japan Times Online highlighted how Manga is being brought to a wider audience by "scanlators" who scan, translate and publish popular titles. Whole subcultures have sprung up around 'scanlating' and 'fansubbing' Manga and Anime, as reported in another Japan Times Online article, helping lift J-culture over the language barrier. On the recommendation of @yaadayaada I checked out onemanga.com and found a translated copy of one of my favourite Urasawa Naoki Manga, "20th Century Boys". Reading my Japanese copy of 二十世紀少年 (20th Century Boys) on the bus, or whenever I get a short break at work, I know that if I have any doubt about what I'm reading I can check scanlation later. It may not seem easy at first but as Koichi said, the the secret to learning Japanese is perseverance. I blogged a few weeks ago about using children's books, and there are plenty of online resources to help you learn Japanese elsewhere on the web. What do you use? Is reading a part of your Japanese study? What are some good titles for people to start on? Leave your suggestions in the comments, and don't forget to follow me on twitter. 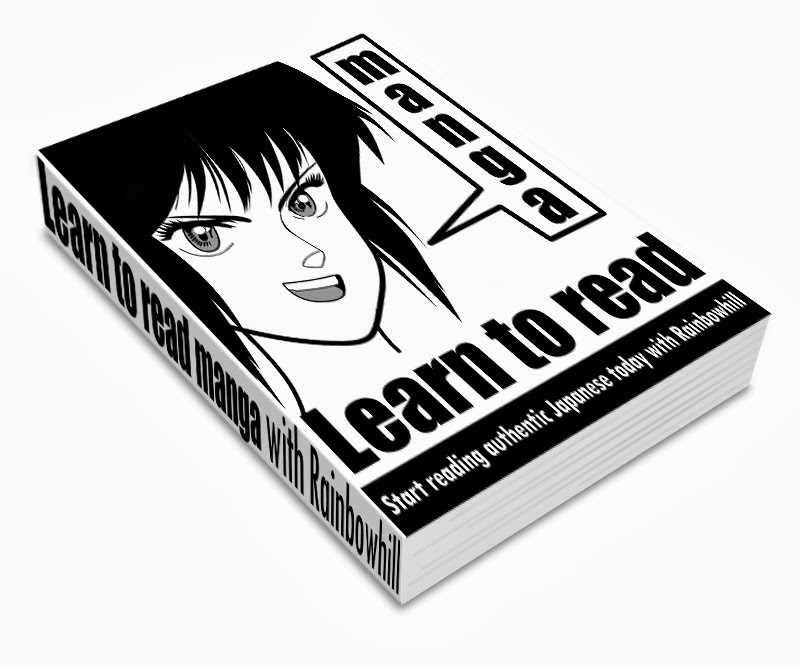 Enter your name and email below to get Free Instant Access to the most comprehensive guide available on how to start reading manga today. You'll also get Rainbowmail, an irreverent and irregular newsletter about Japanese language and culture filled with tips that you can't find on the blog.